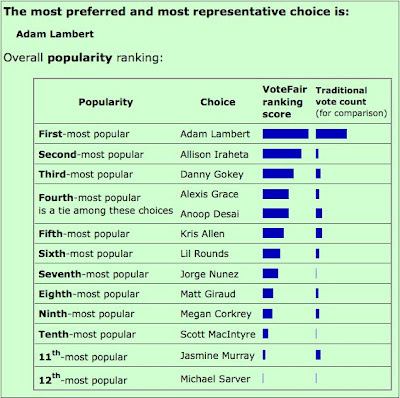 Here is an early clip of the Votefair American Idol poll. The numbers are very low rendering it meaningless at the moment, but it is a poll we will watch over the next few weeks. Mr Lambert certainly has an early lead!